During the summer months, when the rain clouds drizzle and the sun shines bright, the slopes of Sikkim are ablaze with thousands of blooming rhododendrons. With the flowering season at its peak, you’ll find the flora and fauna of this region absolutely gorgeous. 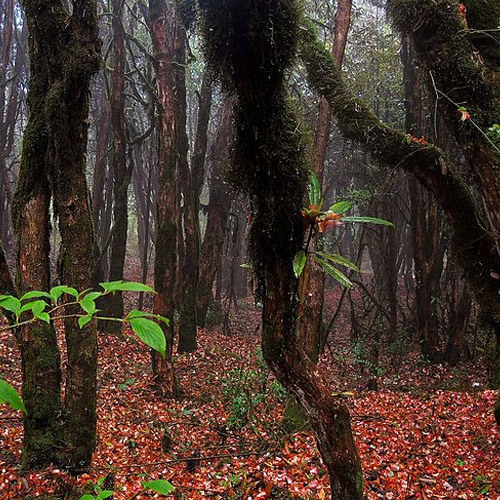 The Barsey Rhododendron Sanctuary sprawls out over 100 kms in Sikkim, covering a dense wilderness of rhododendron trees. During March and April, the rhododendron blossoms turn the sanctuary into a riot of pink and white flowers. 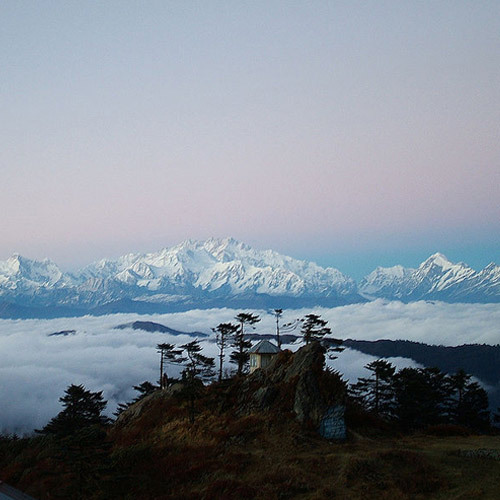 The trek also takes you to viewpoints from where you can see the peak of Kanchenjunga, the third highest mountain in the world. The Barsey Rhododendron trek is not too hard, but it involves some steep climbs. You’ll trek through rolling meadows, clamber over fallen trees, cross streams, and walk through oak and silver fir forests. If you’re doing the Barsey Rhodendron trek during summer, it might get hot. Dress in layers and make sure you have a hat, sunscreen, sunglasses, and long-sleeved clothing. You can expect sudden showers in summer too, so don’t forget to carry a raincoat and a raincover for your backpack. What is the best season for Barsey Rhododendron trek? The best season for the Barsey Rhododendron trek is from the months of March to May. The mid-summer month of April is when the rhododendron trees are in full bloom, so try to ensure you book your Barsey Rhodendron trek during this time. Join us on one of the most colorful treks in Sikkim, set among blooming rhododendrons and grand panoramas of the Khangchendzonga range. 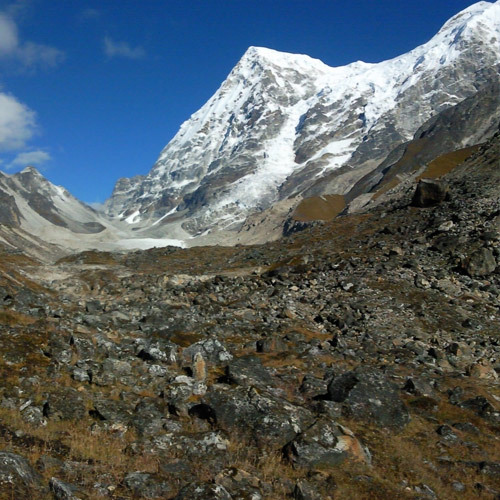 This trek is an easy one, perfect for trekking newbies and nature lovers. We trek in the higher sections of the Barsey Rhododendron Sanctuary in west Sikkim, which is home to 13 different varieties of rhododendron species. Bird-lovers can spot many rare birds like the Black-breasted Parrotbill, Blood Pheasant and many varieties of flycatchers. Accommodation as specified, on a twin sharing basis. All surface travel using Xylo or similar. Travel from city of origin to Bagdogra and back. Personal equipment like backpack and woolen clothes. Excess stay and meals due to bad weather conditions or strikes, resulting in delay of flights or any other form of transport. Rescue/medical charges if needed due to high altitude sickness, any ailment and/or accidents. All expenses of a personal nature like laundry expenses, telephone expenses, cigarettes or liquor charges.